A friend and I were going through some art materials that used to belong to her late father-in-law a little while ago. 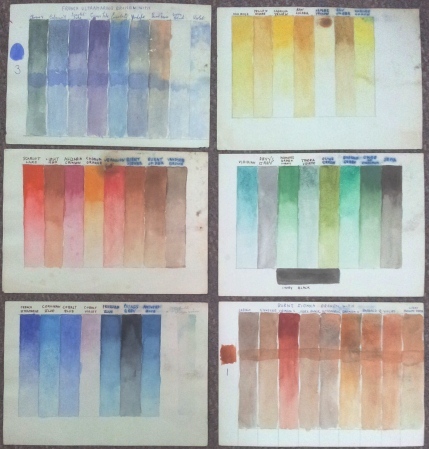 We came across these colour exercises he had done which she was going to throw away. I suggested she could frame them in a configuration similar to the above and that one of her children might like it. And that’s what comforts me about making art – you never know where and when people may view it. Even long after you are gone. Gorgeous! he was a very special man.